The fifth Wacom Intuos4 is named the "Intuos4 Wireless" as it teams up with Macs and PCs via Bluetooth. An 8 x 5-inch display used with a pressure-sensitive Grip Pen will have designers porting their creations to Adobe instantly. 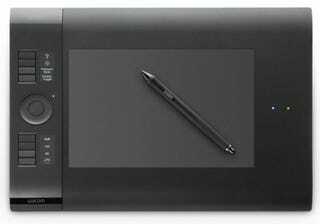 Autodesk and Corel are also compatible with the graphics tablet, which is the same size as the medium Intuos4 model. It charges via USB and has 18 hours of battery life when not connected. There's a few other changes with the design of the Intuos4 Wireless in comparison to the other four models, but if you're wanting a comprehensive look at it, then CNET has got an early review of it.